How do you schedule resources? Spreadsheets? Whiteboards? a home grown system? With Whitespace®, schedulers can see at a glance who is doing what, when & where. We even seamlessly sync schedules with employees' Outlook, 365 & Google calendars. Stop struggling with spreadsheets or whiteboards and experience the benefits a tool designed for the job delivers. Scheduling at a glance with WhiteSpace®. High visibility, high performance, customizable views provide schedulers with everything they need, right at their finger tips. It all starts with customizable resource ‘Views’ which you configure to show the specific resources or groups you want to see. Next, the View can be color coded to provide instant recognition of who is doing what and when. Real-time resource stats provide the feedback of current and future availability to enable scheduling at a glance. 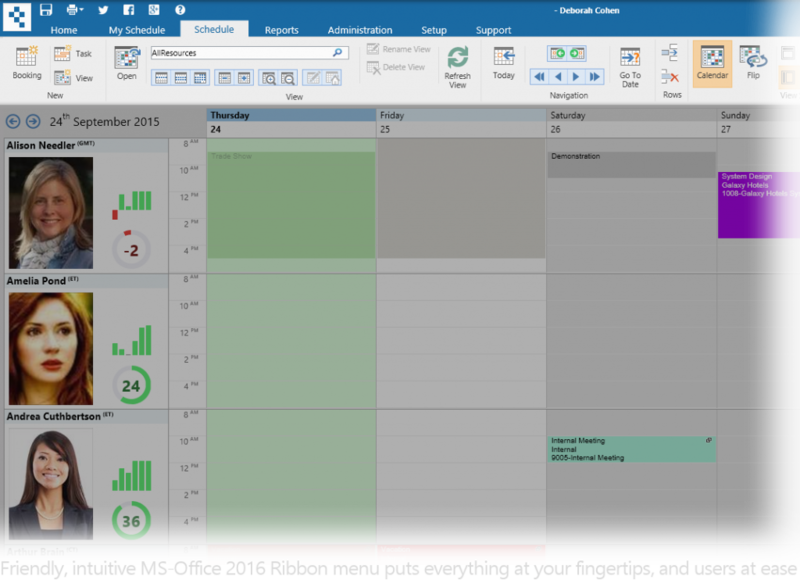 Calendars can be seamlessly synced with Outlook and Google Calendars, include built in resource proximity and route mapping, powerful reporting, and supports PCs, Macs, phones & tablets. Intuitive and familiar MS-Office look and feel means little or no training is required for end users. Schedule resource bookings with a start/end time, or project tasks with a duration, total, or percentage time. 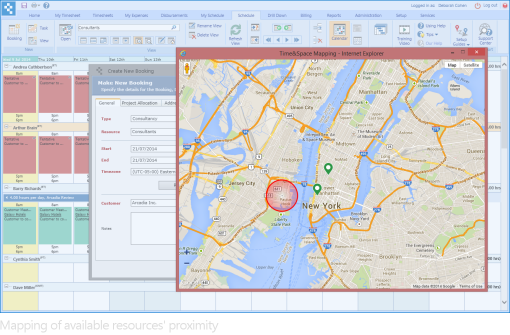 In addition to specifying the resource(s) to be scheduled, the system supports resource scheduling by the attributes required such as skill, location, language, timezone, proximity, availability etc, the system will then recommend resources that match the criteria. Editing calendars is simple and easy too: drag and drop bookings, copy, or extend single or multiple bookings, you can even link multiple bookings for multiple resources together and manage them as a group. If you schedule by skill, WhiteSpace® can ‘persist’ the skill when a booking is moved, ensuring that if you scheduled a ‘brain surgeon’, you can only reallocate to someone with equal or higher skill. Unique to WhiteSpace® is our seamless, fully automated, bi-directional, synchronization with Outlook 365 / Exchange. 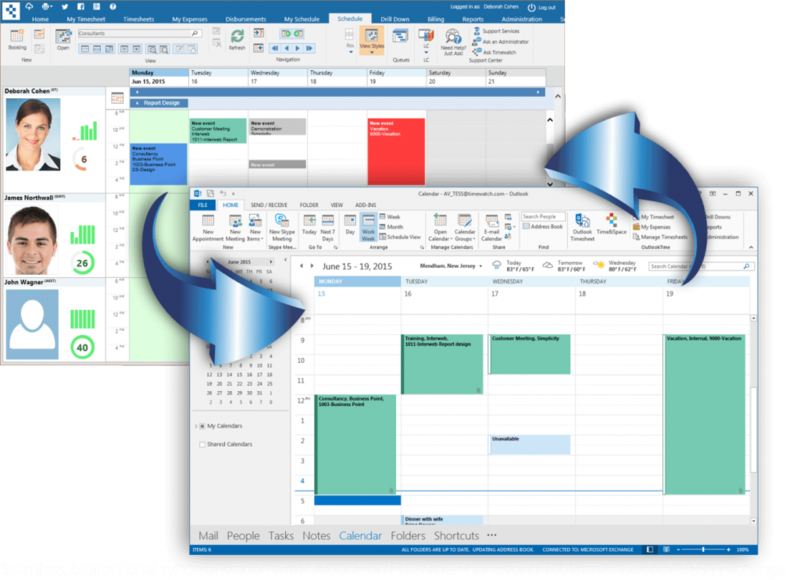 Syncing Outlook calendars ensures everyone is on the same page so there are no embarrassing booking conflicts. 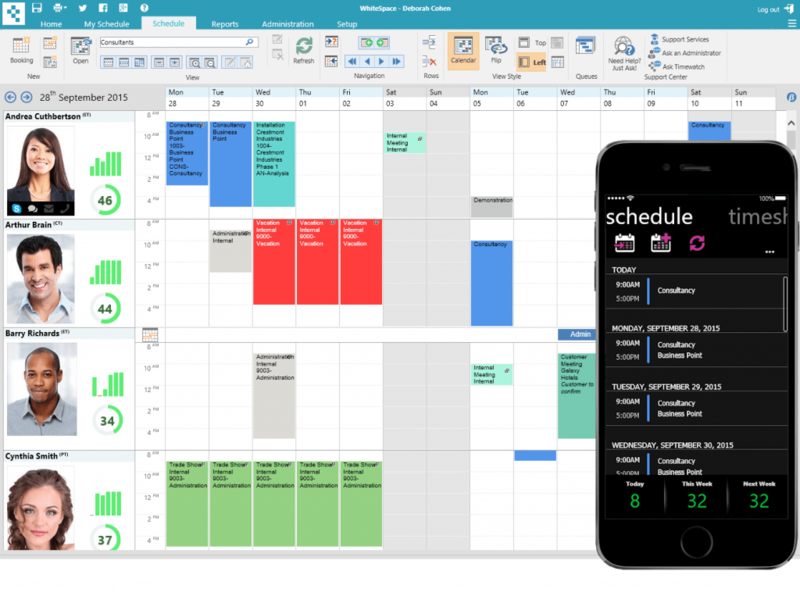 Schedulers know that whatever they schedule is in a user’s Outlook calendar and they can see what users have booked in their own calendar. You can even extend our security model inside Outlook to stop users editing or deleting appointments, something Outlook itself cannot even do. Outlook sync is completely seamless to users. There is nothing to install in Outlook, and it supports all Outlook clients on PC, Mac, tablet and smartphone. Advanced features include mapping, drag and drop, schedule by skill, availability, location etc. You can even link multiple bookings for multiple resources together and manage them as a group. If you schedule by skill, WhiteSpace® can ‘persist’ the skill of a booking if it needs to be moved to a new resource. For example, if you scheduled a brain surgeon for a task, you’d want to make sure someone with equal or higher skill is assigned to the booking. The choice is yours. Whitespace resource scheduling software is available in the Cloud or on your servers. You could even start in the Cloud and then move to On-Premise, or vice-versa. WhiteSpace® is designed to adapt as your needs change: upgrade to a more advanced edition, add more users, or move to Time&Space® to add time tracking, costing, charging and billing. WhiteSpace is 100% browser-based and supports all major browsers on PCs, Mac, and Linux, as well as iPhone, Android, and Windows phones and tablets. All Timewatch® products include a host of self-learning tools to allow customers to learn and implement our solutions themselves. We also provide services such as training, implementation, consultancy, and customization when required. Yes! All products include a free built-in support center and help desk system. Once you have decided upon your configuration and any additional professional services, we can usually get you up and running the same day. Yes! You can start with one edition and then move to another or add or remove optional modules at any time. In this way you can grow your Timewatch system as you grow your business. Yes! There are discounts for one-, two-, and three-year terms, volume discounts on the Pro and Enterprise range, and there are often promotions available that you may be eligible for. Contact us for details. No problem, we have other resource scheduling software options. The next step up is our Time&Space® system which incorporates advanced timesheet facilities, expenses entry, cost and charge rating systems to value time and optional multi-currency and billing modules.